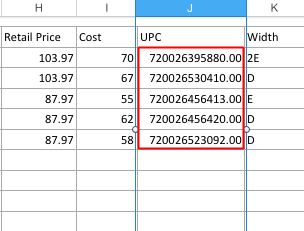 If your UPC's contains a string of consecutive 0's (i.e., '853305000000'), first make sure you're uploading a list of UPC's from the manufacturer (not your own store codes). 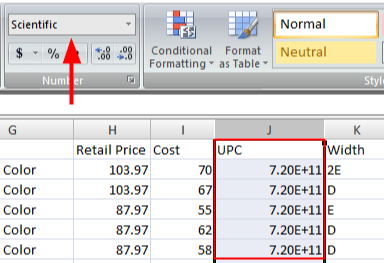 1) Notice how the UPC's in this spreadsheet are formatted in this truncated Scientific format. 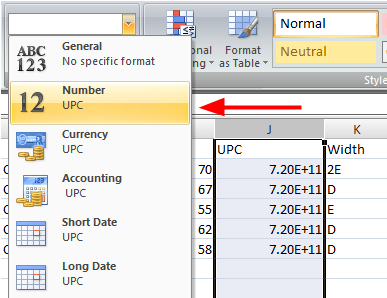 2) Highlight the entire 'UPC' column and select 'Number' format. 3) Your UPC's should now be in a full 12-digit format. 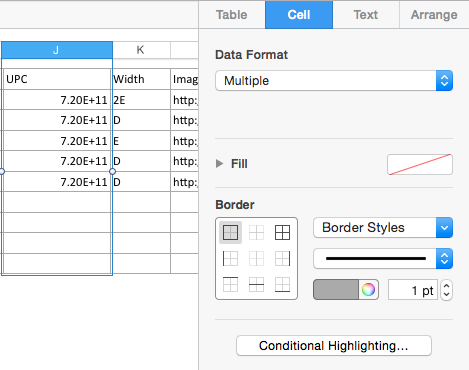 Save the document as a .CSV, .XLS, or .XLSX file and you're ready to upload it to BoxFox. 1) Make sure the 'Format' window is visible on your right side panel. If not, click 'View', then 'Inspector', then 'Format'. 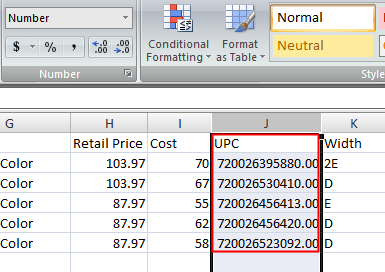 2) Click the 'Cell' tab and highlight the entire 'UPC' column. 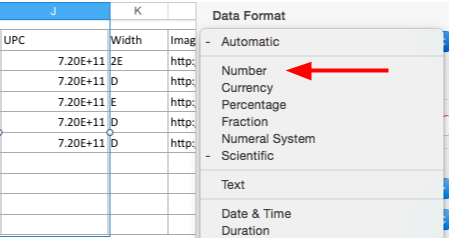 3) Click the 'Data Format' dropdown and select 'Number'. 4) Your UPC's should now be in a full 12-digit format. 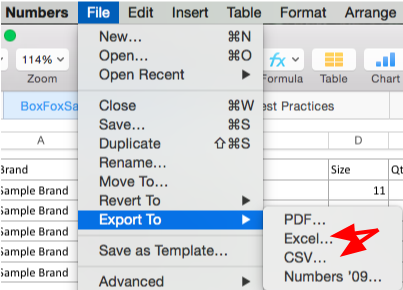 5) Export your document as either an Excel or .CSV file. It will now be in a format that you can upload to BoxFox.